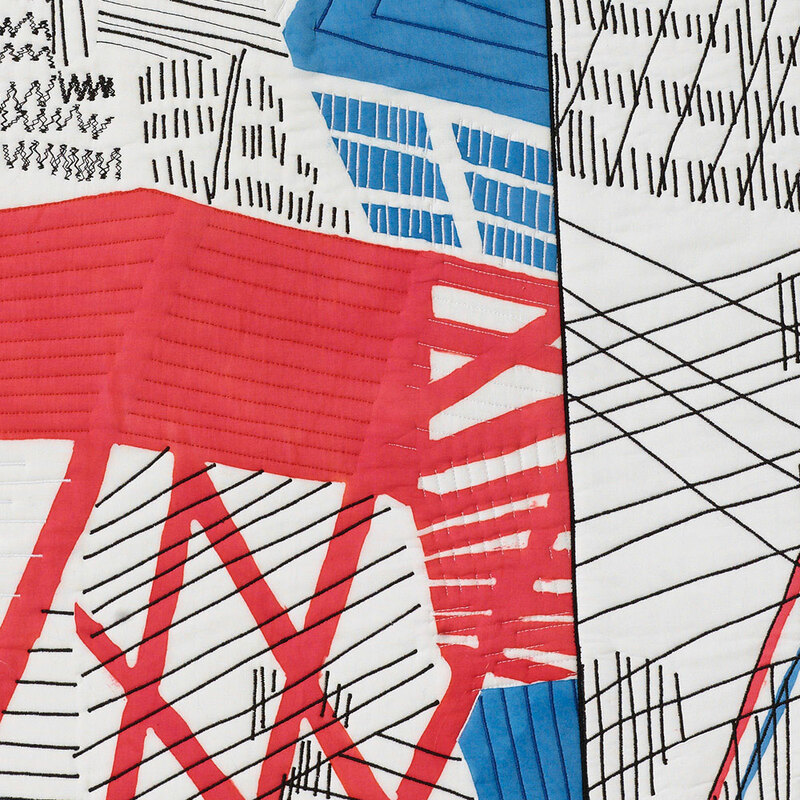 This invitational SAQA exhibition features one work each by featured in the new book Art Quilts International: Abstract & Geometric by Martha Sielman. These engaging works of art represent a range of style across the abstract art spectrum. Participating artists come from Australia, Canada, France, Germany, Israel, Italy, Japan, Latvia, the Netherlands, Northern Ireland, Russia, South Africa, Spain, Sweden, Taiwan, the UK, and across the US.